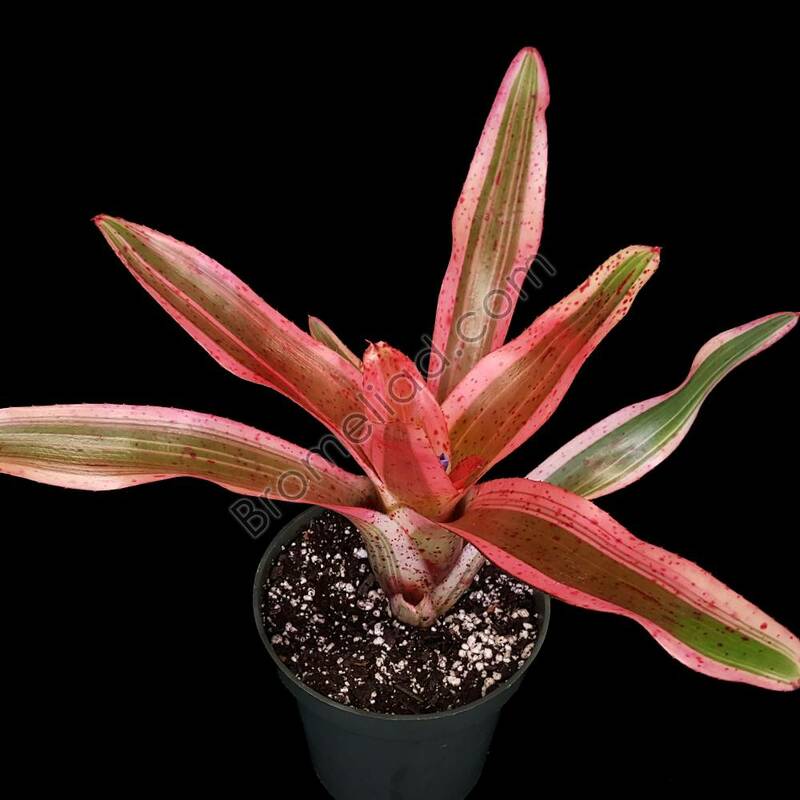 Neoregelia 'Heat Wave' is a small plant with intense coloration. 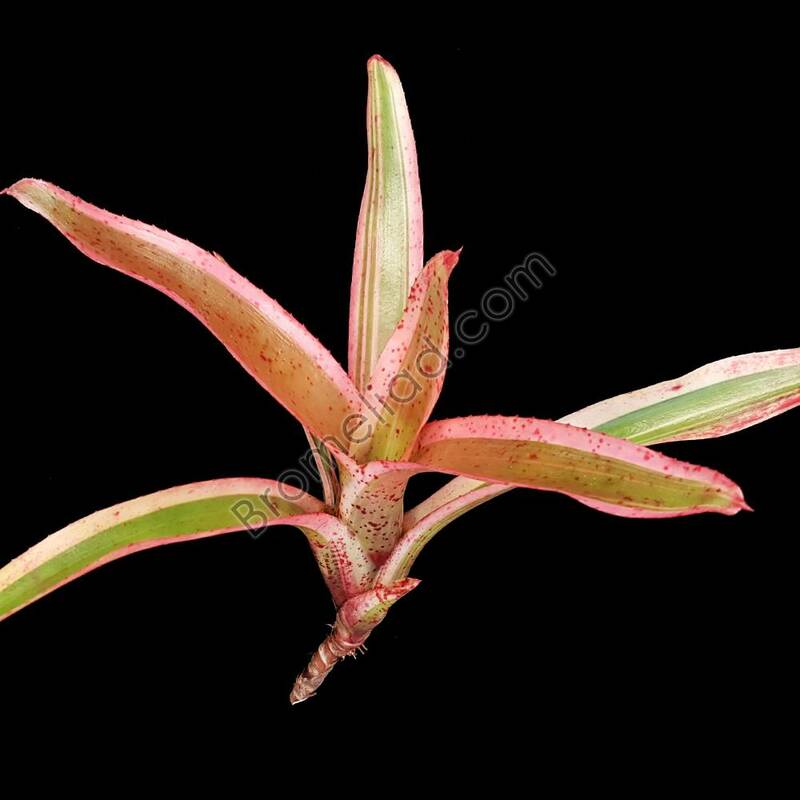 The rosette is an open and loose type, with 1 inch wide albomarginated leaves. The foliage has faint red speckles and an overall red wash. Maximum Size: H:7" x W:12"